Come in! This is the castle of Princess Rosalina. 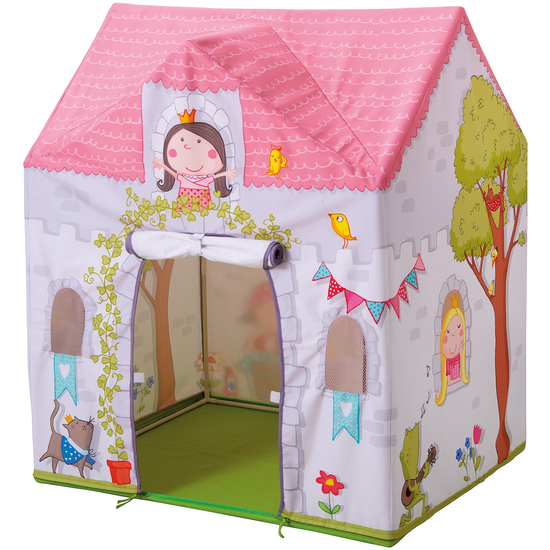 Here all little princess lovers will feel very comfortable. They can bring along all their dolls' court and have a lovely tea party with them. The door can be rolled up and fastened. The plastic rods with connecting parts allow for fast and easy setup.